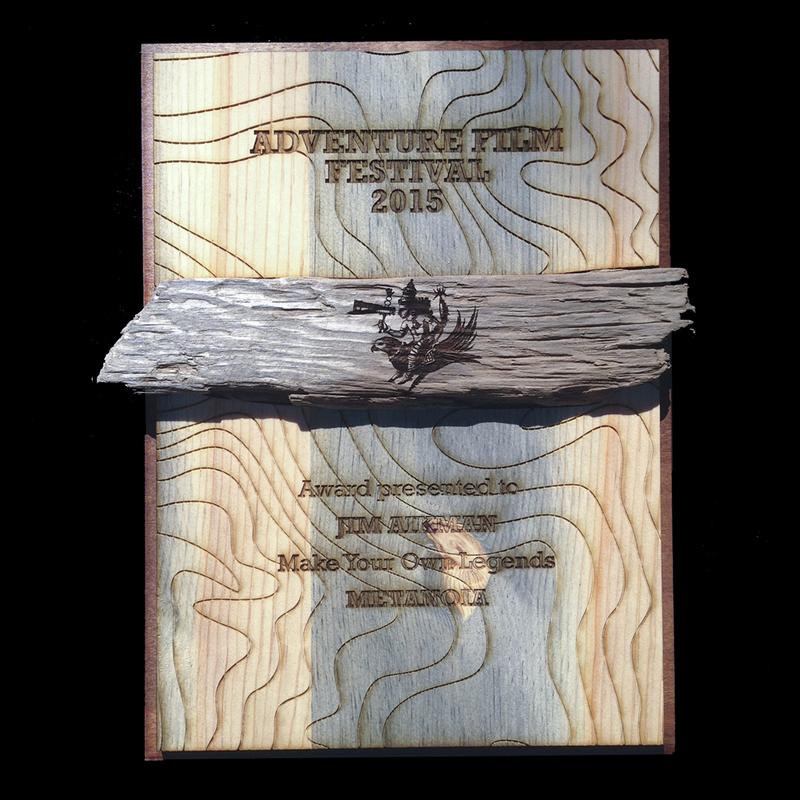 Designed in keeping with the wood theme for the year’s brochure, these custom awards for the Adventure Film Festival 2015 feature three types of wood delicately balanced to create unique awards for each of the events categories. 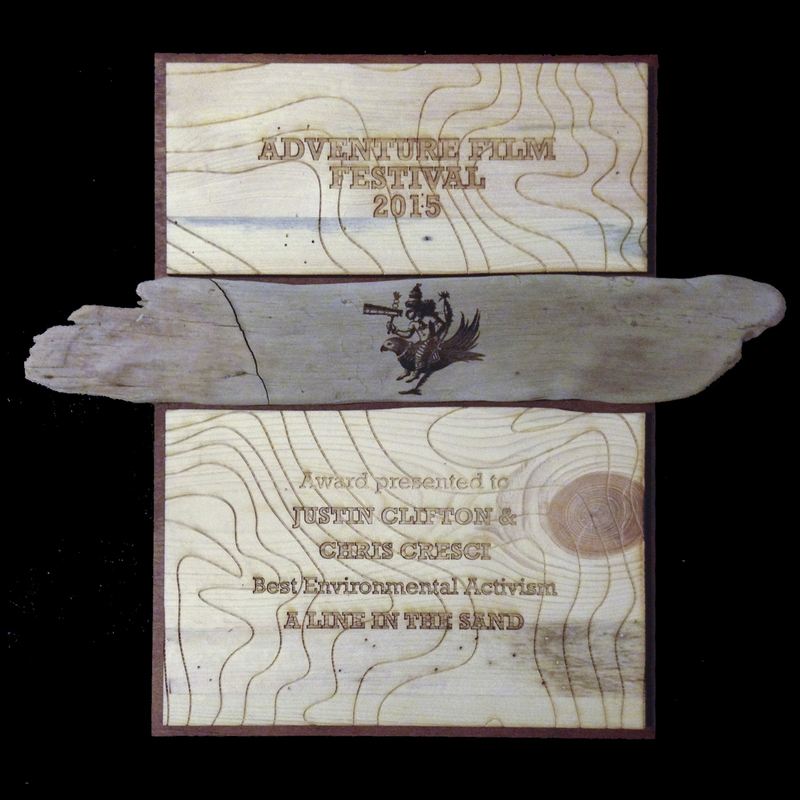 Local driftwood pieces were carefully selected to be placed within custom sized cutouts of engraved beetlekill pine panels. 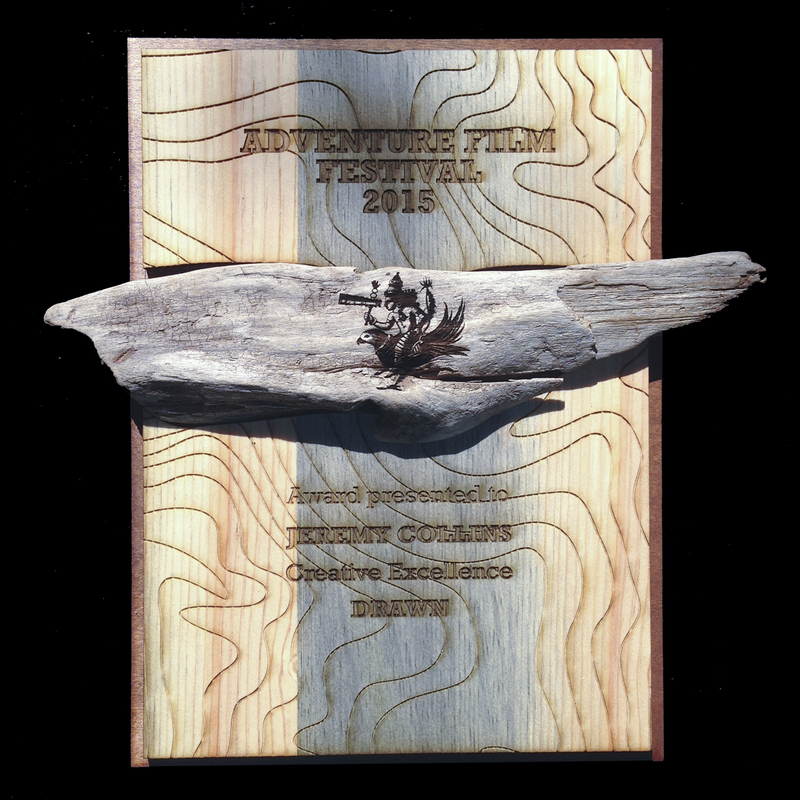 Made entirely from reclaimed materials and found objects, these awards were beautifully in keeping with the events’ mission and themes.